Possibility of fitting the blinds in rooms with slants and vertical or horizontal arches. Vertical blinds (verticals) are used mainly as sun protection systems in big glass structures extremely popular nowadays in modern architecture. 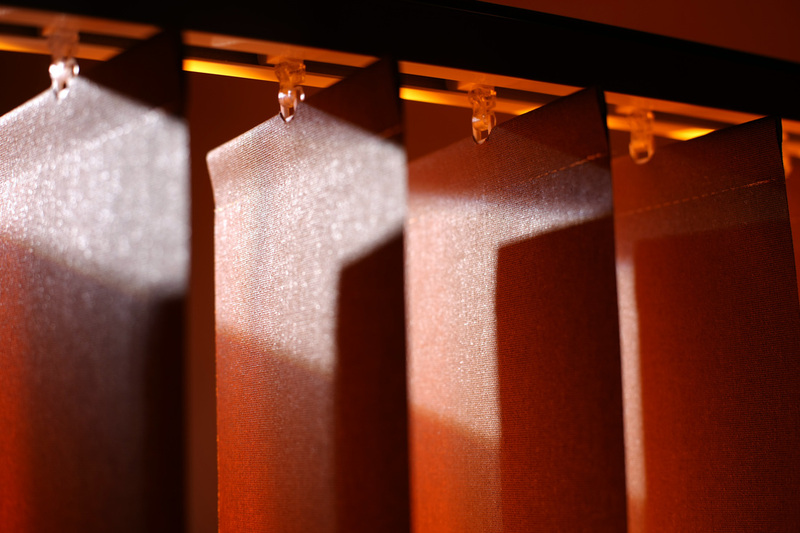 ​Vertical blinds may be used as screens or as doors; an important feature of verticals is also the possibility to manipulate them (turning, sliding left, right etc.) All this makes them extremely practical and easy to operate. They are often equipped with electric motors. Vertical blinds may be mounted horizontally, diagonally or vertically. Their rails may be straight or custom-bent.